» Beta Testers Needed – Do You Use Real Tick or MB Trading? I haven’t been trading much over the past few days. There aren’t a lot of gappers for me to choose from. I did take a couple of trades today and like Eyal yesterday made some lunch money, although not for the whole family. I traded ASN for 1R. This one was a shame, too. It almost immediately went in my favor and for a few seconds I was sitting on 4R in profit. I’ll need to work in some type of profit taking rule to capture some of that – it was less than breakeven for a while there. 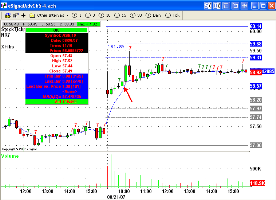 I traded BIDU off a hammer on the OR high on the 15 minute chart. 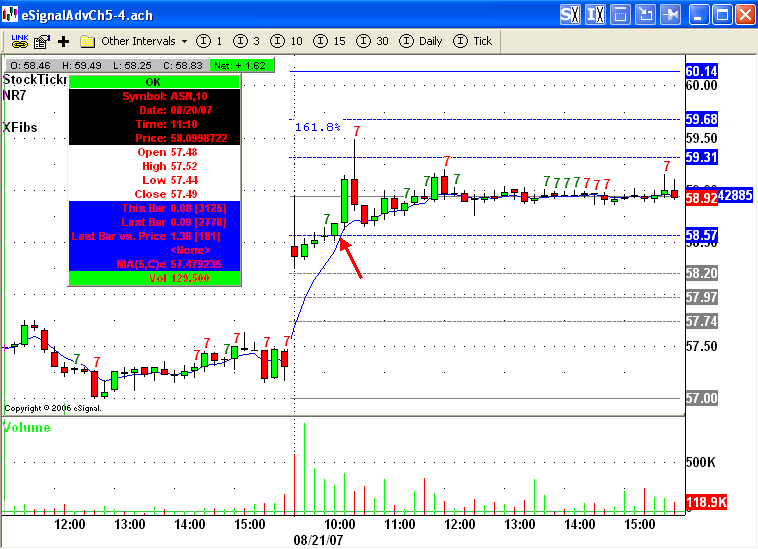 I should have trusted my instincts which told me to be wary since there was very little if any gap from yesterday. I haven’t found much to trade either. The difficult thing for me last days was not to take boredom trades. 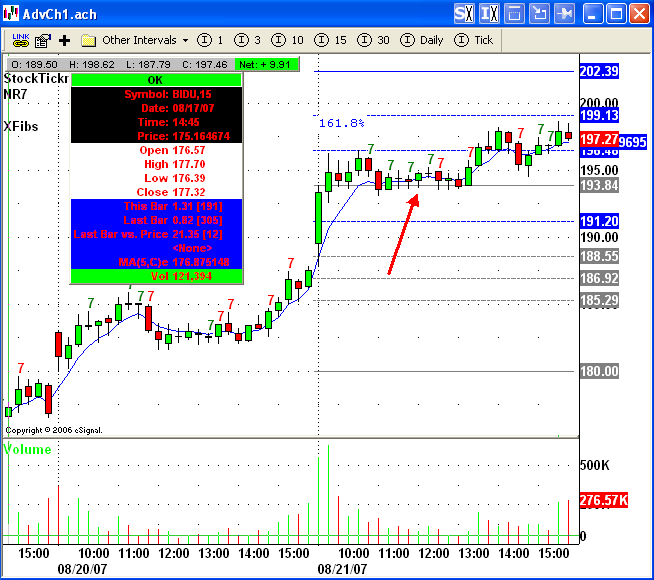 nowadays… it’s hard not to sell all at the intraday fib. ext. if a stock gets there. 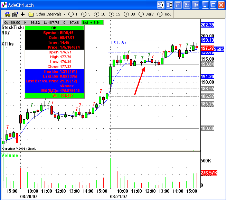 ASN was a good example of the quick emotional highs and lows of daytrading. One moment you’re doing the ‘happy dance’ and the next you’re scrambling to get the hell out!!! @thiago – boredom trades is right. BIDU was definitely one of those for me. @oonr7 – that about summed up that ten minute stretch.